Why is Mark Zuckerberg angry at critics in India? Mark Zuckerberg is feeling the force of critics who believe his effort to provide Indians with free access to a limited number of internet services hurts India's democracy and violates net neutrality. In an unusually pugnacious appeal in the mass-circulation Times of India, the Facebook founder forcefully defended introducing his Free Basics service, "a set of basic internet services for education, healthcare, jobs and communication that people can use without paying for data". Facebook, Mr Zuckerberg says, has already launched the service in partnership with more than 35 mobile operators in more than 30 countries. He says more than 15 million people have already come online because of the service. "The data is clear," he says. "Free Basics is a bridge to the full internet and digital equality." So - in a tone which many say mocks critics - Mr Zuckerberg asks: "Who could possibly be against this? "Surprisingly, over the last year there's been a big debate about this in India." After all, with more than 130 million users, India is Facebook's second biggest market in the world. Mr Zuckerberg has been bear-hugged by Indian Prime Minister Narendra Modi in California, and has visited India twice. He insists India will be crucial to getting "the next billion online". Many believe Mr Zuckerberg possibly expected a cakewalk with Free Basics, and is now irate at being stonewalled by critics who are not convinced about his motives. Earlier this month, India's telecom regulator directed a mobile operator that partnered with Facebook to put the Free Basics offer on hold following stiff opposition by the critics, who believe that it runs contrary to the principles of net neutrality and that data providers should not favour some online services over others by offering cheaper or faster access. Last April, hundreds of thousands of Indians sent emails to the regulator and set up websites demanding a free and fair internet. All this is not helping Mr Zuckerberg. So Facebook has launched a lavish campaign to canvass support for Free Basics, putting out expensive full-page double-spread adverts in leading Indian newspapers and putting up billboards in cities. And on Monday, he lashed out against his critics here for continuing to "spread false claims - even if that means leaving behind a billion people". "Instead of recognising the fact that Free Basics is opening up the whole internet, they continue to claim - falsely - that this will make the internet more like a walled garden," he wrote. "Instead of welcoming Free Basics as an open platform that will partner with any telco, and allows any developer to offer services to people for free, they claim - falsely - that this will give people less choice. "Instead of recognising that Free Basics fully respects net neutrality, they claim - falsely - the exact opposite." But prominent tech activists are not convinced. Nikhil Pahwa, a volunteer with savetheinternet.in, says the Facebook boss has not answered a critical question. 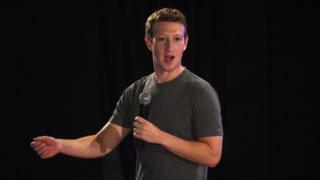 "Why has Facebook chosen the current model for Free Basics, which gives users a selection of around 100 sites (including a personal blog and a real estate company homepage), while rejecting the option of giving the poor free access to the open, plural and diverse web?," he wrote in a stinging riposte to Mr Zuckerberg's personal appeal. Mr Pahwa, a fierce defender of net neutrality, says research has shown that "less experienced, low-income groups prefer access to an open and unrestricted internet". They should rather be given the choice, he writes, of "deciding what they want to access, with millions of websites and apps to choose from, for say, three days, over being given unlimited access to a limited selection". Mr Zuckerberg possibly answers this question partially in his appeal. He says "certain basic services" are important for people's well-being in all societies, so we have collections of free books in libraries, free basic healthcare - and not every treatment - which saves lives, and free basic education. Ditto with free basic internet services, he argues. But this is only a part of the story, say critics. Mr Pahwa says Facebook and the Indian mobile partner Reliance Communications "reserve the right to reject applications from websites and apps for Free Basics, and forces them to conform to its technical guidelines". "Services which compete with telecom operator services will not be allowed on Free Basics. It would need Facebook's permission (and hence, time) for a citizen-powered crisis-response effort such as Chennairains.org to be made available to those on Free Basics, and the flexibility and freedom with which such an effort can evolve would be restricted or limited by Facebook's guidelines." More than half of India's 320 million internet users - 94% of whom are mobile - use Facebook and the instant messaging app WhatsApp, both owned by Mr Zuckerberg, every day, a study has shown. The country is expected to have 500 million internet users by the end of 2017. Technology analysts like Prasanto K Roy say it is all right for Mr Zuckerberg to look at India as a "great business opportunity" and pick up his next billion Facebook users. "But he is being disingenuous with his Free Basics campaign. He is pushing what is essentially a corporate strategy, which is nothing wrong, and equating it with free basic education and healthcare," he says. "Facebook is spending millions of dollars in the media to drum up support for Free Basics in India. What about using this money to subsidise internet access for the poor? Why is it dressing up what is essentially a corporate strategy as an altruistic mission?"